As the midterm elections draw near, my anxiety continues to grow. 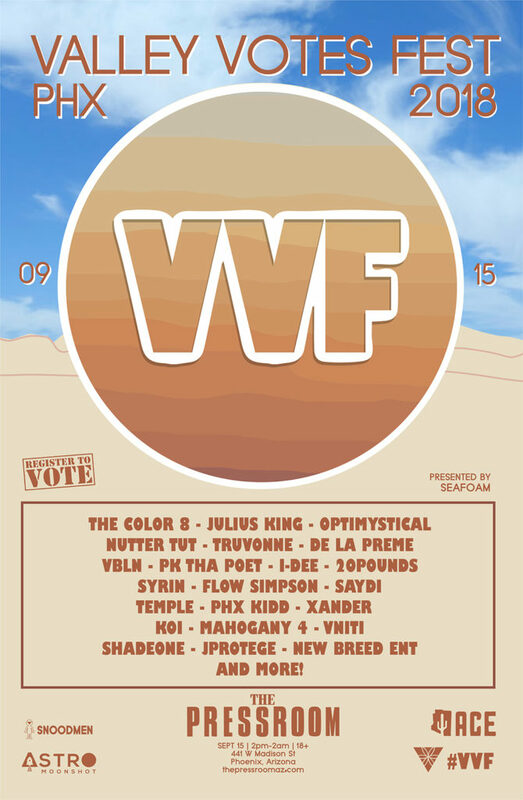 And I know I’m not alone because the good people of Seafoam Sound have been hard at work organizing a music festival to help young voters register to exercise their rights to boot bad politicians to the curb. 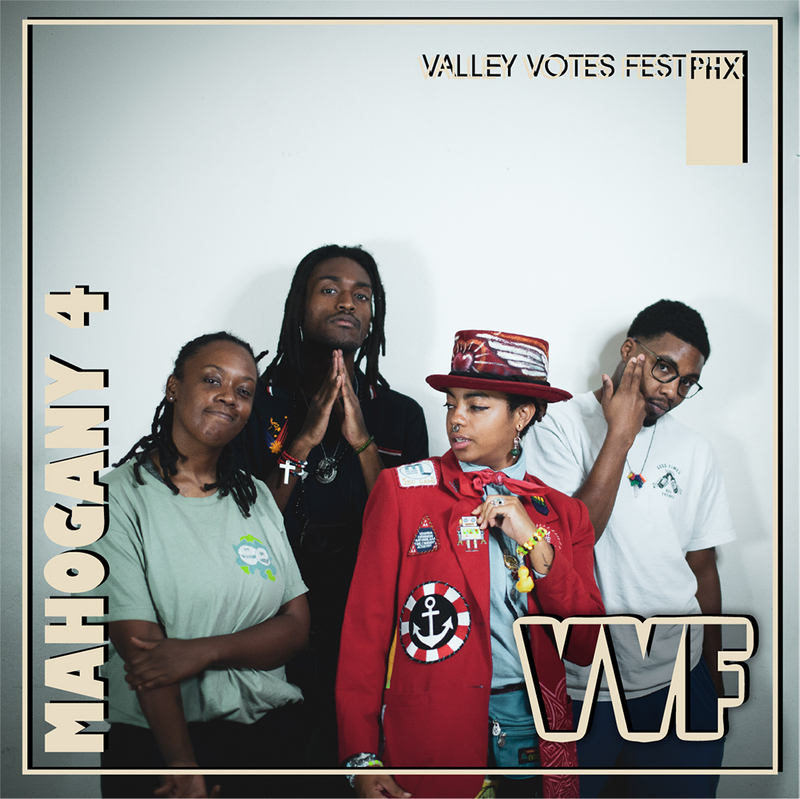 On September 15, the first annual Valley Votes Fest will descend on The Pressroom thanks to Seafoam Events and a fierce collective of musicians with a message. And, right now, that message is: VOTE! I had the chance to ask Andrew Finch of Seafoam Sound some questions about the upcoming festival, the music collective, and what’s next for Seafoam Sound. 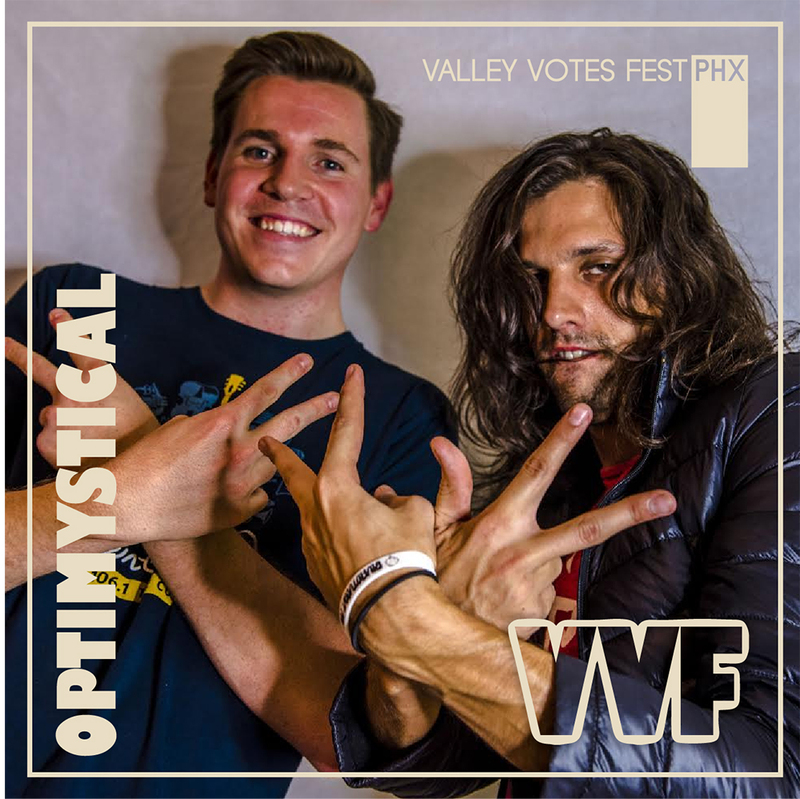 Check out our Q+A below and make sure to be at the Pressroom next weekend for the inaugural Valley Votes Fest! YabYum: What is Seafoam Sound? And what led you to form Seafoam Sound? Andrew Finch: Seafoam Sound is a collection of local artists that work out of our garage recording studio. We started almost two years ago now, and our main focus has been on creating an environment where the musicians and other artists that make up Seafoam can grow and gain a following. Along with Lyle Begiebing and Thomas Clifton, I founded Seafoam with the intention of bringing something fresh to the Phoenix Hip Hop scene. Optimystical, Julius King, and Nutter Tut are the artists we are really working on getting out there right now, all of which have been featured on YabYum. 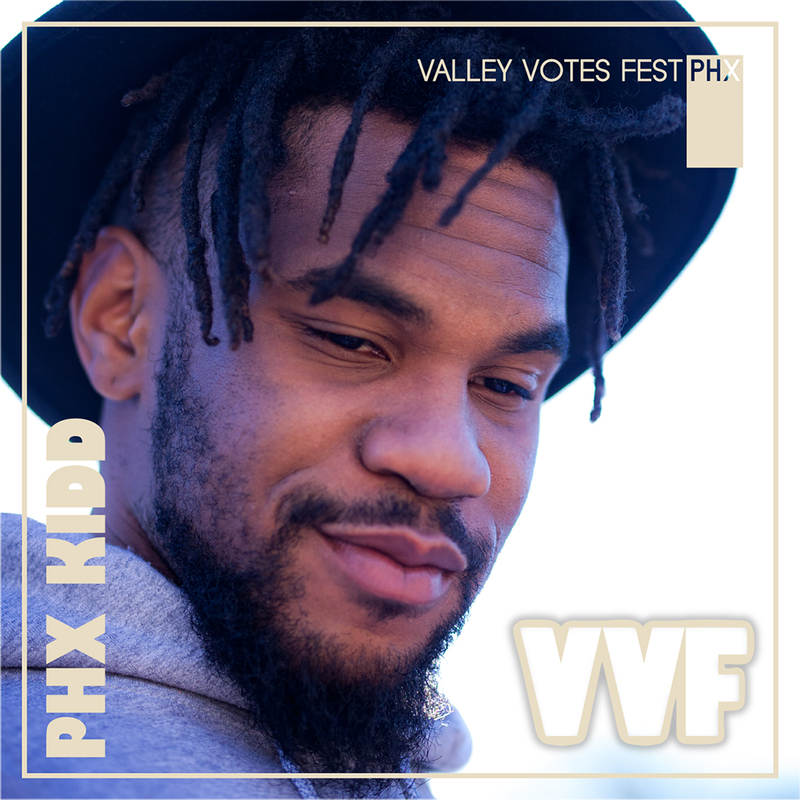 What inspired you to pull together this Valley Votes Festival? The last election was… problematic for all of us at Seafoam. I think we’re all entrepreneurs, and the feeling of futility that came from that moment made us think hard about what we could do for our community. Maybe this can be something that gets our community more involved. 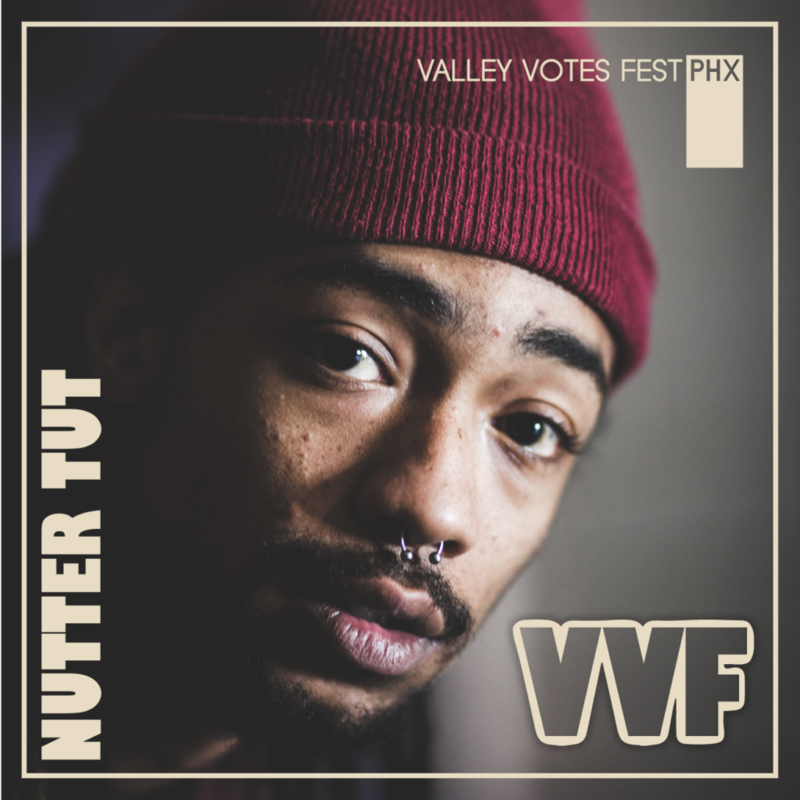 What can attendees expect to find at Valley Votes Festival? Besides great musical performances? We are bringing out alot of great local art to go along with the music. Local artist, Stephanie Dunlap, is helping curate the event’s gallery area. 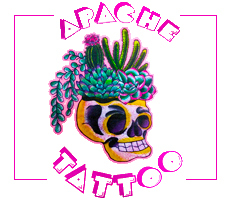 The Mahogany 4 is running an hour long open mic and John Archila, along with other artists, will be live painting. 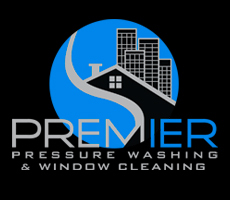 The Pressroom is a premier venue in Phoenix, and the space is letting us do so much. There are also going to be pop up shops and food trucks. Oh and dont forget the most important part, a registration tent, where you can get registered to vote in the midterms. Do you expect this will be a regular pre-election event in Phoenix now that Seafoam Sound is up and running? We hope this is just a warm up to the 2020 event, but until then we have local events regularly. You can find those posted on @seafoamsound along with a bunch of photos of local artists. What’s next on the horizon for Seafoam Sound? And I do mean after the election, of course. Julius King and a big group of Seafoam artists are going to A3C in Atlanta. Julius won the ‘This is My Year’ competition and will be performing at the conference/festival. We’re really looking forward to showing Atlanta the quality of music Phoenix is putting out. 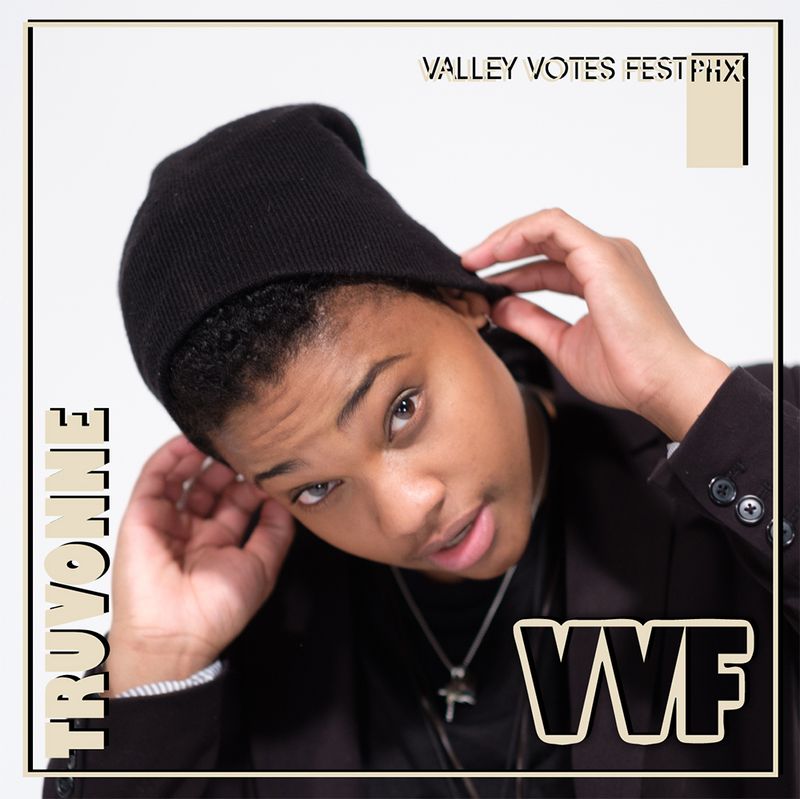 Check out the Valley Votes Fest from 2:00 PM to 2 :00 AM, Saturday, September 15 at The Pressroom in downtown Phoenix. 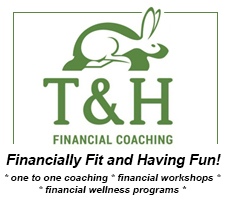 More info can be found on their Eventbrite page and in the video below. Previous Post: What’s Missing Here? ?